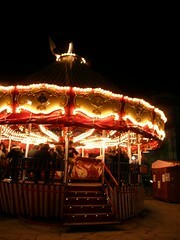 We found this fun Karussell Bar at the German Christmas market near Santa Croce and we couldn't resist. It moves around very slowly. It is a lot of fun. Needless to say, I want one. I'll be posting lightly for the next week or so. Why? 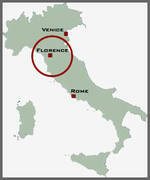 I'll be in Firenze, Italy! (Florence for you'all Americans). Between my bistecca fiorentina, espressos, and gelatos I'll try to hit the Internet Cafe for some quick posts and updates! Wow, I thought that I was well traveled. I guess not and I should start seeing more of the World. This is another picture from my recent trip. 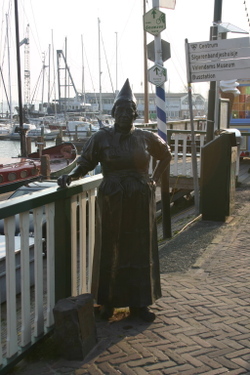 This is a statue of a woman waiting for her husband to return from fishing in the ocean. This was taken in Edam. On my recent trip to the Netherlands, Belgium and Paris, I couldn't help, but do a little tip toeing. I have finally conquered my monster cold, so posting will resume. I will post a few more pics over the next few days or so. Can all three of the readers of this blog suggest any good places to eat, drink or smoke in Amsterdam, Brussels, Brugges, Antwerp and Paris? Thanks, I am outta here on Saturday. I will try to post and check email. 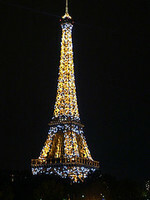 This is another shot from my recent trip to Paris. it is one of my favorites, so I had to share. While in Paris, we went to the Musee d' Orsay. It is awonderful museum and I am always happy to return to it. 1. A middle-aged American man: Wow, this museum has a lot of paintings, even some famous ones. 2. A teen-aged girl from England to her friend: I don't know who this Renoir guy is, but I like his paintings. 3. A few non-descript Americans: How did they paint these? Are they like old? While on the Metro today, I noticed some strange behavior in my fellow Japanese tourists. Now I know why. Seems Paris and the French aren't living up to some expectations of the Japanese. I don't know what tour books they've been reading, but so far, everything has been wonderful (and delicious!) Off to catch a train at the Musée d'Orsay.